A training day created to celebrate the role and value of men in Early Learning and Childcare. The day will be delivered by men playing a leading and dynamic role in the sector. Both keynote speakers have had impact on policy, practice and most importantly pedagogical thinking. It is designed to inspire us to consider male role models and the importance of involving dads, brothers, uncles and siblings. One of the country’s leading authorities on raising boys’ achievement, Gary Wilson is currently a freelance consultant and author of several books including “Raising Boys’ Achievement” and, for parents, “How to Help Your Boy Succeed”. A teacher for twenty seven years, he began working on raising boys’ achievement in his own cluster of schools in West Yorkshire. Gary led a double national award-winning campaign to raise boys’ achievement across Kirklees LA and went on to run a campaign to raise boys’ achievement in Derbyshire, which won a national award for work with parents. His first book “Breaking Through The Barriers to Boys’ Achievement and Developing a Caring Masculinity” was described in the Guardian as “undoubtedly the seminal work on this subject”. He has advised the BBC, appeared on Woman’s Hour a number of times and his work has been the subject of several Teachers’ TV programmes. 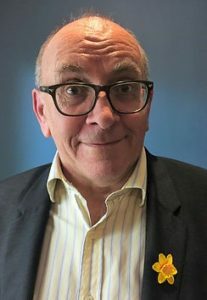 He is also adviser on raising boys’ achievement to Oxford University Press, specifically as series expert on “Project X”, a set of resources that have significantly increased boys’ engagement with reading. Neil was a Primary School headteacher for 13 years before taking on the role of director of a National Literacy Support Project for the Basic Skills Agency. He came up with and developed Storysacks, promoting them to schools and communities throughout the UK. After six years, Neil became a freelance consultant, allowing him to devote all of his energies to the project and set up what is now the worldwide, highly acclaimed, and award-winning Storysack phenomenon. He has created award-winning resources, written a nursery curriculum, a best-selling resource book on creative play for Nelson Thornes Publishers, and imaginative material for the Early Learning Centre. He has developed a scheme for supporting English as an additional language for Harcourt Publishing. 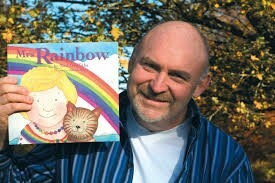 Neil also finds time to write his own children’s picture books, published exclusively by Red Robin Books. They feature strong storylines, memorable characters, enchanting language and arresting illustrations. He is known internationally for his unique delivery, exceptional energy, and his rare storytelling gift. There will be practical workshops in the afternoon, with a range of speakers. The sessions will be interactive, energetic and thought provoking! As this is a Celebration of Men in Early Learning, we hope that the Saturday conference will shape into an ‘all male’ delegate attendance. To ensure equal access we are repeating the conference on the Friday, at our studios, for anyone else who would to access the fabulous content.